Open Dutch 2019 overview video online! We just received a great video of the Open Dutch 2019 edition, great work by Pieter Dillen and Gytis Kazlauskas. Thanks guys, for the hard work and we hope to share many more exciting clips in the up months through our social channels, mainly instagram, if you aren’t following us yet, make sure you do! Competition is open for youth, juniors and seniors in the A, B, and C-class for the categories sparring and patterns. Please note, there is no D-class and the competition is limited to 700 competitors this year! We hope that this makes it clear to everyone that it is extremely important to register early. If you wait until the last day then chances are the competition is full. We have decided to only open up the competition to A, B, and C-class however so that will hopefully offer space for everyone. 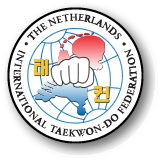 You may wonder why we made this decision, from the very first edition it was always our goal to have a high quality taekwon-do tournament in Europe with global top competitors. We feel it is fair to say that we have achieved this goal, but in order to ensure quality, we need to limit quantity. Hence we decided to focus on A, B, and C-class and put a limit in place. The official invite can be found below, please download the appropriate PDF and read carefully. Every year we receive many questions about rules etc, everything you need to know is included in the documents below. Although we are still 10 months out, the first hotel is already fully booked for the weekend of the Open Dutch 2020. Well, I should probably be a bit more specific: all rooms which could be booked against the Open Dutch 2020 rate are gone at City Resort Helmond (the hotel right above the venue.) There are about 12 Deluxe/Superior rooms left, if you would like to stay at the City Resort we would recommend booking asap, as we expect they will probably run out of rooms completely by the end of March. Of course there are great alternatives listed, in Helmond and the surrounding area. For instance Hotel West-Ende is walking distance from the venue. Have a look at our accommodations page for more details on each of the hotels we recommend and the rates we negotiated with them. Note that some hotels (West-Ende, Nobis Asten, Hotel Plein-Vijf) do provide the option to stay with up to 4 people in a room, which could be a great cheap alternative. Open Dutch 2020 Poster is ready! We have already started preparations for the Open Dutch 2020. Some may have already spotted the new banner on the website or on facebook, and of course we also have a new poster. Once again an awesome job by 2CREATE on the design. Thanks for your help. We hope you like the poster as much as we do, and we hope to see you all on Saturday the 25th of January! Please mark your calendar. We will share the official invite with all the details about the competition soon! We just received the confirmation, the Open Dutch 2020 edition will be held on Saturday the 25th of January (2020). We know, that seems like light years away, but it only is 11 months. We have already seen the first folks booking their hotel rooms. For those interested, we updated the Hotel/Accommodations page with the new prices and the booking codes, which some hotels require to get the discounted rate. We are excited about the next edition of the Open Dutch, we appreciate all the feedback provided by all of you through our Survey, and we are aiming to introduce changes based on the feedback, which hopefully will bring the tournament to the next level.